However, in 1958, both of New York's National League teams moved to California, the Giants to San Francisco to become the San Francisco Giants, and the Dodgers to Los Angeles to become the Los Angeles Dodgers. The Yankees were New York City's only Major League Baseball team until 1962, when the expansion Mets joined the National League. The Mets sought to create a fan base from fans of the departed National League teams, and adopted the Giants' NY insignia in the Giant color of orange set against a cap of Dodger blue. They played their first two seasons in the Giants' old stadium, the Polo Grounds, before moving into Shea Stadium in the borough of Queens. The Mets were aided the St. Louis Cardinals for this series. The Cardinals' sweep of the Atlanta Braves in the NLDS eliminated what had been a particularly difficult opponent during the season for the Mets., and the Braves had eliminated the Mets from the playoffs on the final day of the 1998 season and in the 1999 NLCS. Alex Rodriguez used play for the Yankees (2004-2016), but grew up as a fan of the New York Mets. He is currently a free agent. In 2003, the Yankees become the first team to sweep the season series, winning all six games, including a two-park day-night doubleheader. In 2004, however, the Mets win the season series for the first time, going 4–2 and sweeping the three games at Shea Stadium. On May 20, 2006, less than 24 hours after the Mets' comeback win, Pedro Martínez and Duaner Sánchez kept the Yankees scoreless for eight innings while the Mets score four runs off of Mike Mussina. In the top of the ninth, however, closer Billy Wagner, who pitched a perfect ninth the night before to get the win, gave up four runs to tie the game and force extra innings. In the top of the 11th, Andy Phillips singled in the go-ahead run for the Yankees while Mariano Rivera pitched two shutout innings for the win. On June 27 of that year, in the first game of a two-stadium, day-night doubleheader against the Yankees, Carlos Delgado scores 9 RBIs (including a grand slam) in a 15–6 victory for the Mets, setting a team record for most RBIs in a single game and tying the record for most RBIs in a single game by a visiting player at Yankee Stadium. For just the second time, the Mets won the season series against the Yankees, 4–2, including the Mets' only sweep at the old Yankee Stadium. Ironically, the 2008 season marked the first time since 1993 that both the Yankees and Mets failed to qualify for postseason, the first time for the Yankees since that year and the second straight year where the Mets were eliminated on the last day of the season. It was also the last year both teams played at their old respective ballparks, Yankee Stadium and Shea Stadium. Yogi Berra was present at the closing ceremonies of both stadiums. Both teams finished with the same record (89-73) that year. The 2009 season was the first year that both teams played in their new stadiums, Mets at Citi Field and the Yankees at the new Yankee Stadium. The Yankees took it one step further opened their new stadium with their 27th World Series championship against the Philadelphia Phillies, the defending champions, becoming the first team to inaugurate two stadiums with World Series wins. June 12, 2009: Both teams played each other for the first time at the new Yankee Stadium. The game had several lead changes, including Mariano Rivera giving up the go ahead run to the Mets in the 8th. In the bottom of the 9th, after Derek Jeter stole 2nd base and Mark Teixeira was intentionally walked, the Mets new closer Francisco Rodríguez (K-Rod) paired off against Alex Rodriguez (A-Rod). In what seemed a routine pop with two outs, Mets 2nd baseman and three time gold glove award winner Luis Castillo dropped the ball. Texiera wound up scoring the winning run all the way from first on the error to give the Yankees the 9-8 victory. It would prove to be the Yankees' 7th walk off game that season and the first statistical blown save for K-Rod as a Met. After the game, injured Yankees pitcher Brian Bruney criticized K-Rod and his animated behavior on the mound to reporters. "[It] couldn't have happened to a better guy on the mound, either", said Bruney. "He's got a tired act. ... He gets what he deserves, man. I just don't like watching the guy pitch. I think it's embarrassing." Rodriguez responded, "Instead of sending a message in the paper, next time when he sees me at Citi Field, come up to me and say it. Don't be sending a message to the media. I don't even know who that guy is, somewhere in Double-A and not even pitching one full season." June 14, 2009 – Francisco Rodriguez confronts Bruney during batting practice and are separated by teammates. The Yankees shutout the Mets 15–0 in the biggest blowout in the history of the series, tagging Met ace Johan Santana for nine runs in 3 1⁄3 innings, the most Santana has ever allowed in his career. June 26, 2009 – The two teams played each other for the first time at Citi Field. Alex Rodriguez hit his 564th home run, moving past Reggie Jackson into 11th place on the career home run list. The Yankees defeat the Mets 9–1 after the Mets had committed three errors that led to four runs in the second inning, the most ever against the Yankees. June 28, 2009 – Yankees closer Mariano Rivera, who entered the game to face a batter in the 8th inning, bats against Mets closer Francisco Rodriguez at the top of the 9th inning. Rivera drew a walk with the bases loaded, forcing home Brett Gardner to earn his first career RBI. Rivera would go on to finish the game and earn his 500th career save as the Yankees swept the series at Citi Field. May 22, 2010 – The Mets win their first Subway Series game at Citi Field with a 5-3 victory over the Yankees. 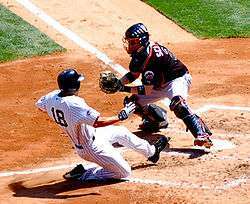 June 20, 2010 – The Yankees earn their 9,500th franchise victory with a 4-0 win over the Mets. Mark Teixeira provided the only runs of the game with a third inning grand slam off of Johan Santana. January 3, 2011 – The Yankees signed left-handed relief pitcher Pedro Feliciano away from the Mets. Under the rules of the collective bargaining agreement of the time, the Yankees had to compensate the Mets a draft pick. The Mets would use this draft pick to get pitcher Michael Fulmer. Feliciano would immediately go on the disabled list for the Yankees due to his overuse by the Mets during his career. Setbacks in surgery would prevent him from ever throwing a pitch for the Yankees during the entirety of the two-year contract. July 3, 2011 – The Mets, down to their final strike and on the verge of getting swept at Citi Field by the Yankees for the second time in three years, tie the final game of that year's Subway Series against Mariano Rivera in the bottom of the ninth on an RBI single from Ronny Paulino. In 23 previous save opportunities against the Mets, spanning the regular season and the 2000 World Series, Rivera had converted 22 (his only previous blown save against the team was on July 10, 1999). The Mets would win in the 10th inning on an RBI single from Jason Bay, who had been struggling all season, off of Héctor Noesí, though the loss was charged to former Met pitcher Luis Ayala. Manager Terry Collins called the game "enormous." The Yankees still won the season series 4 games to 2. July 12, 2011 – Days after gaining entry into the 3,000 hit club, Yankee shortstop Derek Jeter elected to sit out of the 2011 Major League Baseball All-Star Game citing "physical and emotional exhaustion" and recovery from a recent visit to the disabled list. 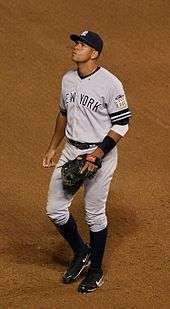 Jeter, who throughout his career had been praised by people in and out of baseball for good behavior, was criticized by some players and officials including Mets outfielder Carlos Beltrán. Beltran stated that "I do believe, as a ballplayer, if you have no injuries, you should be here...the fans are the ones that vote for you and want to see you here." Mets shortstop José Reyes, who also was injured, also opined on the incident saying "I want to come no matter what happens." June 8, 2012 – After pitching the first no-hitter in Mets history in his previous start, Johan Santana gives up a career-worst four home runs to the Yankees in the first Subway Series game of the year as the Mets, who were held hitless by Hiroki Kuroda until the sixth, lose 9-1. Two days later, after Rafael Soriano blew his first save of the year by surrendering an RBI double to Ike Davis in the top of the ninth, Russell Martin hit a home-run in the bottom of the inning off of Jon Rauch to give the Yankees a 5-4 win and first-ever sweep of the Mets at the new Yankee Stadium. June 22, 2012 – One day before first pitch between the two teams at Citi Field, Mets closer Frank Francisco taunted the Yankees by calling them chicken. Francisco's teammates greeted him in the Mets club house the next day with the Chicken Dance and put up a pitcture of Derek Jeter's head on the body of a chicken. "I can't wait to strike out those chickens, I want to strike out the side against them. I've done it before." Francisco would later go on to say "I make a simple comment, just that they complain a lot—for every call, for everything, I thought it was funny. I didn't expect to make a big deal." Although he would not strike out the side and allow two base runners, Francisco did notch the save in the first game of the series before going on the disabled list. Mets reliever Tim Byrdak would go as far to bring a live chicken into the clubhouse and named it "Little Jerry Seinfeld" in honor of a Seinfeld episode. The chicken was used as an unofficial mascot and was donated to an animal farm sanctuary in upstate New York a few days later. Francisco later admitted he himself raised chickens and is an expert about them. Despite the Mets winning the opener, the Yankees wound up winning the next two games, including halting Mets pitcher R.A. Dickey's scoreless inning streak of 44 2⁄3 innings to win the series. Yankee outfielder Nick Swisher playfully quipped at the end of the series "who's chicken now?" April 1, 2013 – For the first time ever on Opening Day, both teams played their first game in New York. May 28, 2013 – In his last regular season game ever at Citi Field, Mariano Rivera gets honored by Mets owner Jeff Wilpon and throws out the first pitch of the game to former Met closer John Franco. Young Mets phenom Matt Harvey, who grew up a Yankee fan, had an impressive line – 8IP 6H 1ER 0BB 10K – but left with a 1-0 deficit. Rivera would come into the game in the bottom of the 9th and promptly give up a double to Mets second baseman Daniel Murphy. David Wright would get another hit to drive in Murphy and contribute to Rivera's first blown save of the year. The next batter Lucas Duda would get the game-winning hit off Rivera as the Mets swept the two game series at Citi Field and gave him the first blown save of his career where he did not record at least one out. July 2013 – Robinson Canó of the Yankees and David Wright of the Mets are named captains for the All-Star Game home run derby at Citi Field. December 2013 – The Mets agreed to terms with outfielder Curtis Granderson on a four-year contract worth $60 million on December 6, 2013. Granderson played for the Yankees from 2010 to 2013. "A lot of the people I've met in New York have always said that, 'True New Yorkers are Mets fans,'" said Granderson during a press conference making the deal official. "So I'm excited to get a chance to see them all out there." Around the same time, the Yankees agreed to sign Carlos Beltrán, who was a Met from 2005 to 2011. 2 Yankees sweep split-ballpark doubleheader on 7/9. The two teams went on to win League Championships, and met in the 2000 World Series. 2 The Yankees lost the 2001 World Series to the Arizona Diamondbacks in seven games. 0 First six-game season series sweep. The Yankees lost the 2003 World Series to the Florida Marlins in six games. Both teams make the playoffs. 1 Teams both opened new stadiums. The Yankees won the 2009 World Series against the Philadelphia Phillies in six games. First season for four-game format. Four consecutive games were played May 27–30, first two at Citi Field, the last two at Yankee Stadium. First season sweep for the Mets. 000000002015-01-01-00002015 4 2 Both teams make the playoffs. The Yankees were eliminated by the Houston Astros in the 2015 American League Wild Card Game, while the Mets lost the 2015 World Series to the Kansas City Royals in five games. In 1998, the Independent Budget Office of the city of New York published a study on the economic effect of the city's two Major League Baseball teams. The study included an analysis of where fans of both the Mets and the Yankees resided. The study found that 39% of Mets fans lived in one of the five boroughs of New York, 49% in the tri-state area outside the city and 12% elsewhere. Mets fans were more likely to be found in Queens, Brooklyn, Staten Island and the Long Island counties of Nassau and Suffolk, whereas Manhattan, the Bronx, New Jersey, Connecticut, and the counties of Westchester and Rockland, as well as the upper Hudson Valley and the upstate New York region, leaned more towards the Yankees. While Yankees fans outnumbered Mets fans by almost two-to-one (60% to 33%), Mets fans tend to be more invested in their team:"Not only do they monitor their team's progress more often (87% of Mets fans follow the team on a daily basis vs. 76% of Yankees fans) and make more bets, they listen to substantially more sports radio (26% to 17%)." There are also many Mets/Football Giants fans. These fans are offspring of Dodgers/Giants Baseball fans of the 1940s and 50s, who were also fans of the great NY Giants Football Teams of the 1950s (when they were NY's only pro-football team). However, that fan-base was cut dramatically when the Jets arrived in the 1960s. Many argue that this group of Mets/Giants fans were split into Mets/Jets fans because you could not get a seat at a Giants game in Yankee Stadium, while you could get season tickets to the NY Jets who now played in the Mets ballpark (Shea Stadium). And, to boot, it made sense to some because the Jets were an exciting team led by Joe Namath (even winning the Super Bowl in 1969...same year the Miracle Mets won the World Series), whereas the Giants were a dreadful team in the 1960s-early 70's. You now had two distinct groups....Mets/Giants fans and Mets/Jets fans. Outside of Major League Baseball, the teams rivalry has shown passions from fans of both sides. "OK, here's what I don't understand about Yankees fans: The Mets stink. We're awful. And the Yankees are usually really good. So why do you boo us? You should feel badly for us. We root for this awful team that never wins and yet the Yankees fans boo us. I don't understand that." ↑ Fitzpatrick, Mike (June 14, 2009). "Yankees rough up Santana, rout Mets 15–0". Yahoo! Sports. Retrieved 6 August 2013. ↑ Matthews, Wallace (June 25, 2012). "Subway fair? No, series is still great". ESPNNewYork.com. ESPN.com. 1 2 3 Bock, Hal (October 5, 1999). "Back to the future: a New York baseball turf fight". Associated Press. ↑ "Yankees-Mets Spring Series". The New York Times. December 6, 1989. p. D30. ↑ Chass, Murray (June 17, 1997). "The First Brag Belongs to Mlicki and the Mets". New York Times. p. B9. ↑ Battista, Judy (October 5, 1999). "The Mets Eliminate Cincinnati, The Doubts and the Frustration". New York Times. p. A1. 1 2 3 4 The subway series: the Yankees, the Mets and a season to remember. St. Louis, Mo. : The Sporting News. 2000. ISBN 0-89204-659-7. ↑ Schmuck, Peter (October 27, 2000). "Threepeat". Baltimore Sun. Retrieved October 15, 2011. ↑ Fendrich, Howard (October 27, 2000). "Subway Series the Lowest-Rated". Associated Press. ↑ Quinn, T.J. (October 19, 2000). "Still Steamed Over Beaning Rocket Feels Red Glare Of Angry Mets". Daily News. New York. ↑ Hoch, Bryan (August 2, 2008). "Randolph returns for Yanks 'reunion'". Yankees.MLB.com. ↑ "Sunday, June 26, 2005 8:09PM, Yankee Stadium II". Baseball-Reference.com. ↑ "Friday, May 19, 2006 7:10PM, Shea Stadium". Baseball-Reference.com. ↑ "Saturday, May 20, 2006 1:25PM, Shea Stadium". Baseball-Reference.com. ↑ "Alex Rodriguez". Jockbio. 1975-07-27. Retrieved 2010-08-04. ↑ Harper, John. "A-Rod regrets saying no to Mets, parts with Scott Boras to avoid same mistake". New York Daily News. ↑ "K-Rod, Bruney trade barbs over antics". MLB.com. June 13, 2009. ↑ Rubin, Adam (June 14, 2009). "K-Rod, Bruney hostility continues". New York Daily News. nydailynews.com. ↑ Brandon C. (June 20, 2010). "New York Yankees 4, New York Mets 0: What A Grand Win". PinstripeAlley.com. 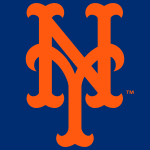 ↑ "Pedro Feliciano back with New York Mets on minor league deal – ESPN New York". Espn.go.com. 2013-01-21. Retrieved 2013-04-22. 1 2 Shpigel, Ben (July 4, 2011). "When All Seems Lost, Mets Rally to Win". The New York Times. p. D1. ↑ "July 10, 1999 New York Yankees at New York Mets Box Score and Play by Play". Baseball-Reference.com. 1999-07-10. Retrieved 2013-04-22. 1 2 Roger Rubin (July 3, 2011). "Jason Bay delivers RBI single in 10th as Mets come back against Mariano Rivera & Yankees, 3-2". New York: NY Daily News. ↑ "Jason Bay lifts Mets by Yankees in 10 to avoid sweep". ESPN.com. Associated Press. July 3, 2011. ↑ "Derek Jeter All-Star decision causes stir". ESPNNewYork.com. July 12, 2011. ↑ Rubin, Adam (June 23, 2012). "Frank Francisco: Yanks 'chickens'". ESPNNewYork.com. ESPN.com. ↑ "NY Mets' 'Little Jerry Seinfeld,' chicken mascot for weekend, finds a new home for life". New York: NY Daily News. Retrieved 2013-04-22. ↑ "New York Yankees vs. New York Mets – Recap – June 24, 2012 – ESPN". Scores.espn.go.com. 2012-06-24. Retrieved 2013-04-22. ↑ "Dueling home openers Monday at Mets' Citi Field and Yankee Stadium offer historic perspective on New York baseball". Daily News. Retrieved 1 April 2013. ↑ Nightengale, Bob (December 6, 2013). "Crosstown traffic: Curtis Granderson joining Mets". USA Today. ↑ "Home Base for Mets and Yankees Fans". The City of New York Independent Budget Office. 1998-09-28. ↑ Hollander, Sophia. "How Yankees Fans Are Different From Mets Fans: A WSJ Poll – WSJ.com". Professional.wsj.com. Retrieved 2013-04-22. ↑ Helyar, John (May 19, 2006). "Yankees, Mets coexist despite their differences". ESPN. ↑ Steinberg, Dan (February 2, 2008). "Baseball's Fault Lines Show Stress In Arizona". The Washington Post. p. E11. ↑ Withers, Tom (April 2, 1996). "For the '96 Mets, an upbeat start". Associated Press. New York Governor George Pataki and New York City Mayor Rudolph Giuliani threw out ceremonial first pitches, and actress Glenn Close sang the national anthem. ↑ Breen, Virginia; Mbugua, Martin; Siemaszko, Corky (April 1, 1998). "Mets win Opener in Extra Innings—& Heat". New York Daily News. p. Sports.7. Mayor Giuliani, the city's No. 1 Yankee fan, was greeted by mixed cheers and boos as he made his way to his box seat at Shea. But his smile never wavered...'I'm a Yankee fan overall, but I root for the Mets in the National League, certainly against the Phillies,' Giuliani said. ↑ Steinhauer, Jennifer (September 22, 2001). "Changing His Pinstripes". New York Times. p. B10. ↑ Thomson, Katherine (June 22, 2010). "Jerry Seinfeld: Lady Gaga 'Is A Jerk.'". The Huffington Post. Retrieved Feb 15, 2011. ↑ "New Jersey Governor Chris Christie declares loyalty to New York Mets". ESPN.com.